So far, we’ve walked through various stages of production and broken down the related production terms. 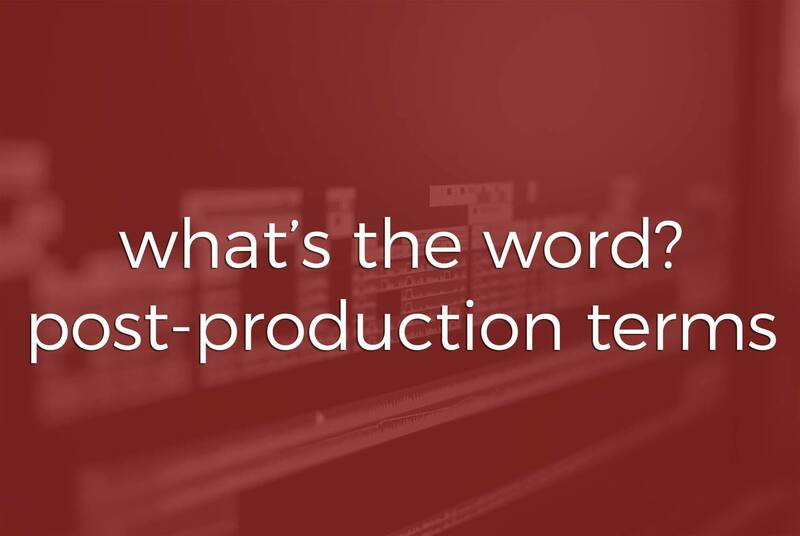 In today’s final installment of “What’s the Word?.” we’re going to introduce you to terms commonly used in the post-production phase. Post-production is just what it sounds like. It is what occurs after the initial production of a video, film, commercial, etc. In this stage, you will often hear of a post-supervisor and editor. These people are responsible for finalizing the production and making sure that the client is happy. The post supervisor works as the liaison between the client, producers, editors, and others. The editors piece together the video and audio clips to make a coherent project (you may also refer to them as a magician ;). 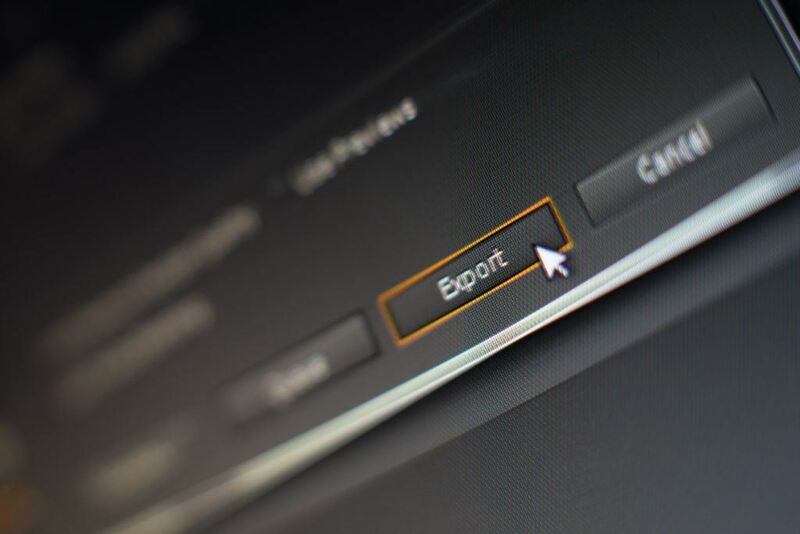 The editor starts by putting the material (audio and visual) into sequence. Next, they use a variety of techniques including coloring, fades, sync, j-cuts, and jump cuts. Editors create and input titles and captions in this phase. The editor works closely with the post supervisor and provides a rough draft for the client to approve. Additional edits may be made at this point in the process. After a rough draft is approved, a final cut is compressed and sent to the client. Post production: The final stage of production. This is everything that takes place after the video has been shot. This includes editing, coloring, audio mixing, sound design, etc. Coloring: The process of altering and enhancing the color of the video. Post supervisor: Responsible for the post production process communicating with producers, editors, supervising sound editor, and production accountants. 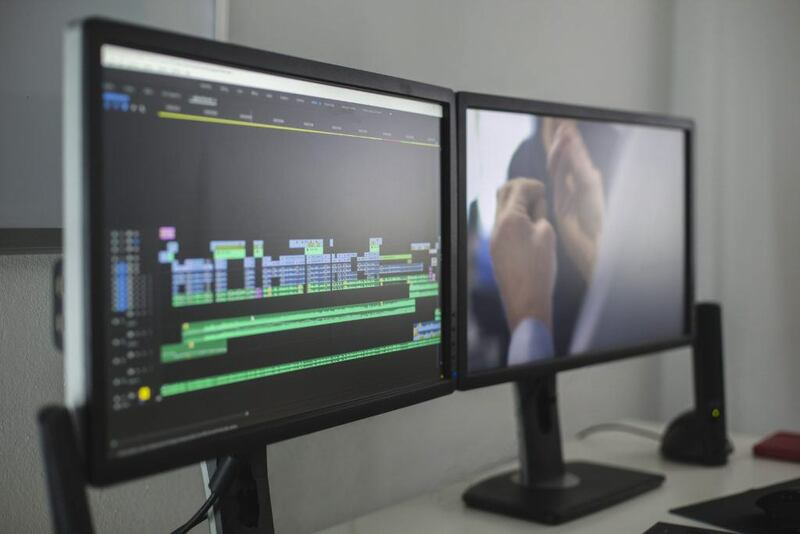 Editor: The job of the editor is to piece together all the video and audio clips to create a coherent project which becomes the final masterpiece. Sequence: Camera shots combined in a nonlinear program to tell a story. Title: On Screen text used to provide information. Caption: The dialogue text that coincides with the audio. Fade: A gradual transition from one clip to another. J-Cut: audio from the next shot begins before it’s video appears. This allows for smoother transitions between cuts. Jump Cut: Abrupt cuts between sequential clips that appear disruptive to the viewer. Sync: Synchronization is the alignment of the audio and video so they match. Rough Draft: Footage aligned in a sequence but not a final version of the video. It does not contain any professional coloring, sound editing. Text placeholders may be inserted to show where graphics, titles, special effects, etc. will be at. Compression: the process of reducing the amount of data in a video file. Used to decrease the file size for faster play speeds. Final Cut: The finished, edited video in its complete stage. That wraps up an idea of the terms used throughout the entire production process! We hope that you found these posts to be useful and informative. If you have any questions about specific terms, leave us a comment or send us a message.